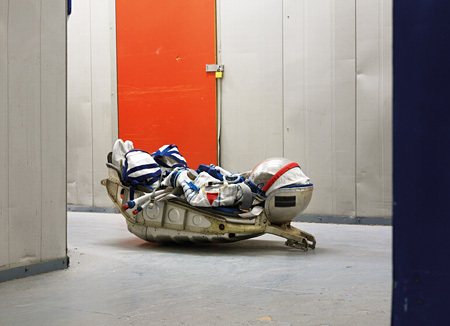 ©Vincent Fournier - SOKOL KV2 Space Suit, KAZBEK seat from a Soyuz rocket, Warehouse, London, United Kingdom, 2009. 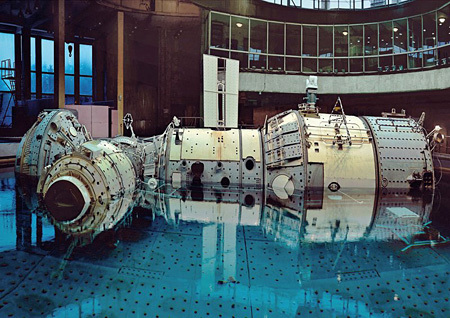 ©Vincent Fournier, Hydrolab Training, I.S.S., Yuri Gagarin Cosmonaut Training Center [GCTC], Star City, Zvyozdny gorodok, Russia, 2007. 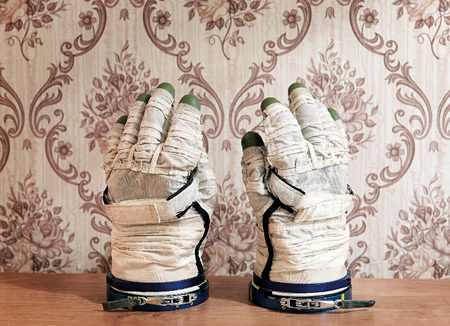 ©Vincent Fournier, Sokol Space Glove, Yuri Gagarin Cosmonaut Training Center [GCTC], Star City, Zvyozdny Gorodok, Russia, 2007. 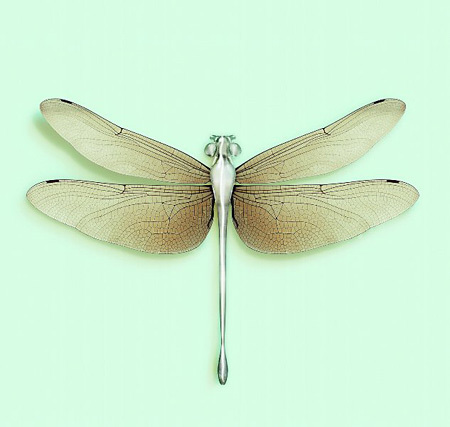 ©Vincent Fournier, DRAGONFLY [Chloromgonfus detectis] Volatile inorganic-sensitive animal. 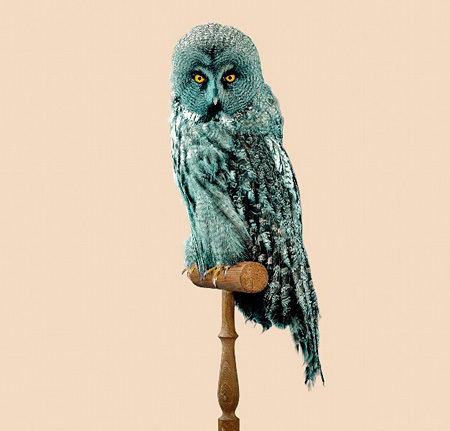 ©Vincent Fournier, GREAT GREY OWL [Strix predatoris] Predator-resistant feathers.